People continue to love to shop and the retailer’s role is to give those shoppers the experience they want. Technology and digital migration has become central to our every day lives. Many people are talking of the retail experience as being about the range of technology available to them both in and out of store, but whilst a key component it’s not all about technology. Traditional bricks and mortar provides a very different level of experience, it’s within this platform that the retailer has to go that extra mile to give the customer a real reason to shop with them; a rich, immersive, sensory experience where you can see, touch, smell, hear and taste their brand, exciting and satisfying today’s expectant consumer. Consider the huge success of the 35,000 sq. ft. M&M store in Leicester Square, a mecca to the small round, colourful sweet which draws visitors from far and wide looking to experience the fun and excitement of the bright, interactive environment; or the entertainment innovations implemented by Burberry’s flagship store which houses a massive three-storey scaffolding-clad art installation by British artist Graham Hudson at it’s heart. Both stores offer an experience beyond selling a product and both are well and truly on the map as a must-visit tourist destination. On an arguably less ‘theatrical’ level, look at what Shell is currently doing to engage more with its customers. Historically, they have provided a straightforward but essential forecourt offer that helps refuel travellers who live and work from their cars. 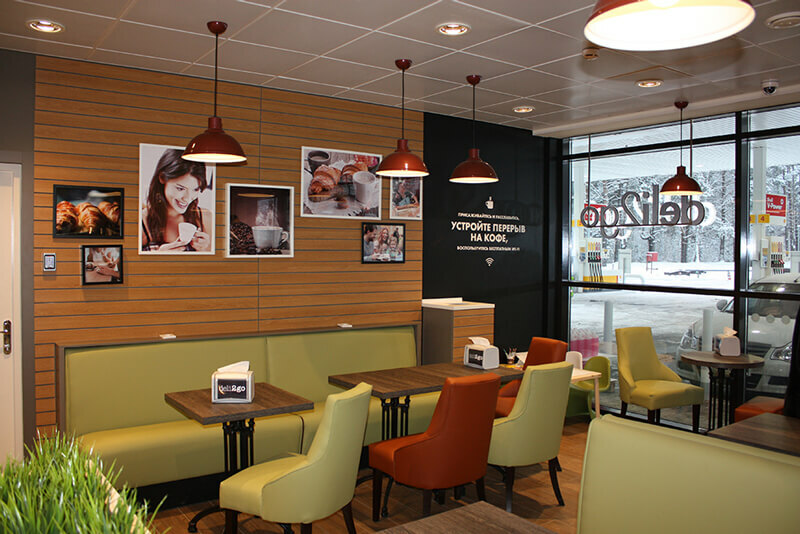 Sitting at the heart of Shell’s new retail strategy to increase customer dwell time, we used our research insight and category management expertise to help position a more credible ‘food on the go’ offer, without alienating fuel only customers. The experience was optimised for identified shopping missions such as; ‘just fill up’, ‘need a break’ and ‘planned purchases’ and helped to guide Conran Design Group, appointed to fulfil the design process. Shell’s new offer has since resulted in a massive shift towards food sales, a sizeable increase in overall browsing, sales and margin and has gone on to win a coveted Design Effectiveness Award. 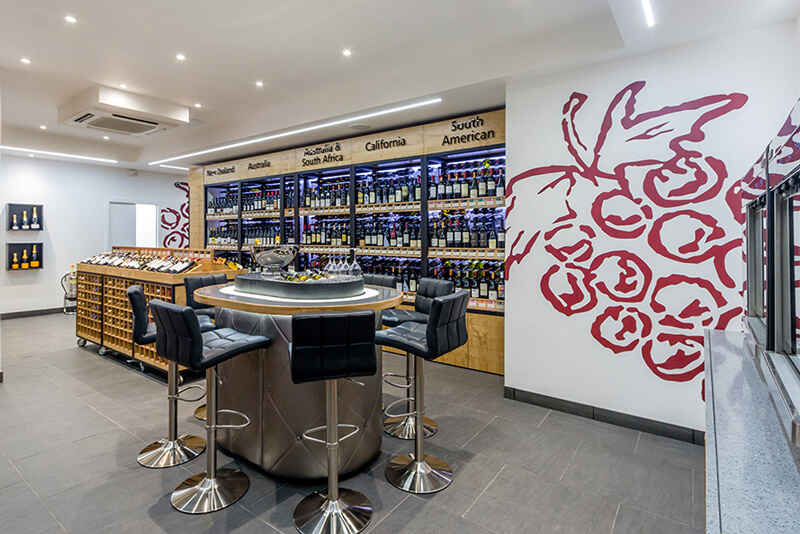 For Majestic’s new Mayfair store, the wine retailer wanted to up scale the design from the familiar warehouse format long associated with the brand, to present something that was relevant to its locality and would entice passers-by and its neighbours to pop in. Shopworks worked with the retailer to create a premium boutique experience tailored to its surroundings and directly appealing to its local customer base. Here customers can purchase premium wines, guided by the knowledgeable and enthusiastic staff, and gather at the tasting bar to sample the goods in a more social and convivial environment. Pushing the community angle, Sweaty Betty uses its London stores to create a social experience, which also has the benefit of connecting more closely with its customers. It’s hard to know how we ever worked out without having a shop, blow dry bar, café, and classes all in one place. 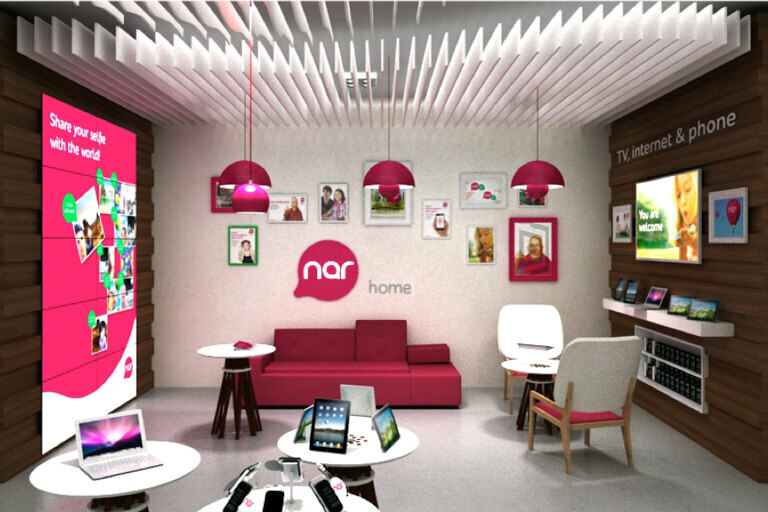 Further afield in Azerbaijan, national telecom brand Nar has been vibrantly refreshed and bought up to date to be more relevant to its savvy customer base. The store provides a sensory experience that you just can’t get on line. It’s joyful, bright design and layout brings the brand to life, encouraging customers in to share their experiences and engage in ‘happy conversations’ with each other. 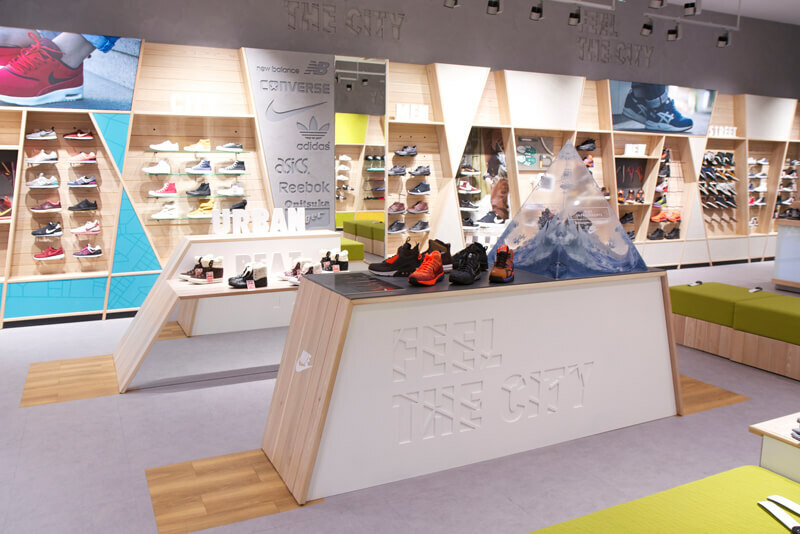 Russia’s first multi-branded shoe store, Streetbeat, is a good example of using the retail environment to help position and embody a brand. Using clever design cues to reflect its urban feel with materials and finishes such as concrete, block colour vibrant walls, equaliser graphics on the cash desk and a giant street map on the rear wall, it all shouts urban cool and provides an exciting place to be. The design is relevant to its target market, is very different from what has been seen there before and acts as an immersive must visit experience for cool Muscovites. Back in Blighty, John Lewis Partnership presents customers with an efficient website and employs extremely helpful people on the ‘phone, backed up by a reliable delivery service. But venture in store at Waitrose and they’ll give you a free coffee and the Sunday papers and will offer to accompany you if you need help with your shopping choices. This gets people really engaged, bringing the JLP brand values to life. With a better informed understanding of the role of the store in today’s multi-channel shopping arena, we are seeing retailers create new, exciting environments focused on experiential elements, which build brand engagement and boost customer loyalty, giving them a reason to keep coming back for more.